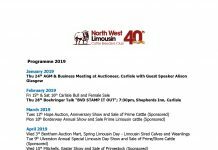 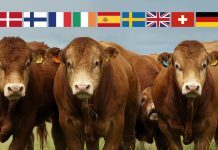 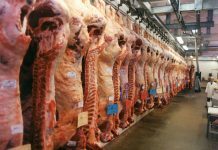 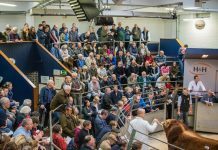 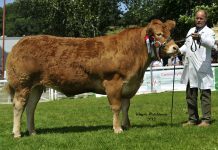 Held on the late summer bank holiday in August, Hope Show is one of the major summer shows in Derbyshire and the Peak District giving an opportunity for those who enjoy farming and the countryside to meet and celebrate the year just gone. 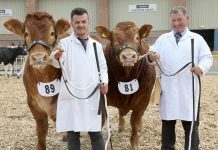 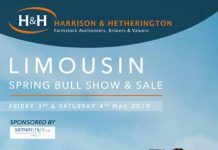 In the cattle classes it was Mr Alistair Smith who took charge of the Limousin judging where he tapped out a stylish cow and calf outfit from Andrew, Alison and Matthew Clark of Hangram Lane Farm, Ringinglow, Sheffield as his Limousin Champion. 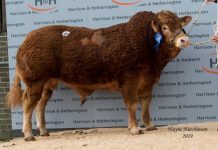 The 2012 born Mayfields Hotstuff, by Marlepark Elite and out of Mayfields Ultrahot had her Idaho sired eight month old bull calf at foot. In the Interbreed Championship, the pair came before a panel of judges, convened, as usual for Hope Show, from all the individual breed judges. 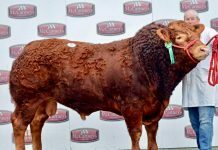 The tidy pair scored a mighty 58 points out of a maximum of 60 and was subsequently awarded the Interbreed Supreme Championship title. 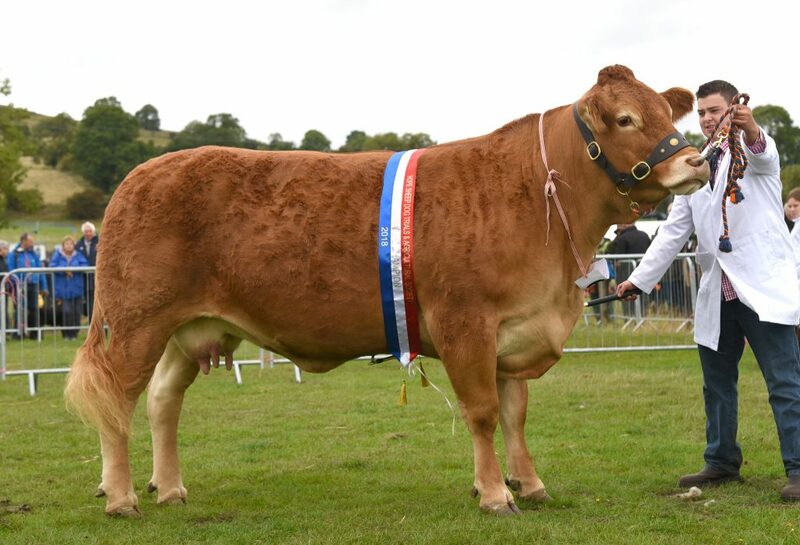 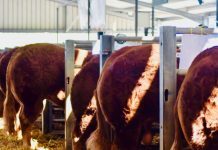 This win rounded off a summer of success for the classy duo; they had taken the Interbreed titles at Derby County Show in June and Ashbourne Show earlier in August.